Add a touch of elegance to your kitchen with the Liberty 1-1/6 in. Satin Nickel Rope-Edged Knob. The round die-cast zinc body with rope edging is finished in satin nickel. The knob features rear-mount installation. 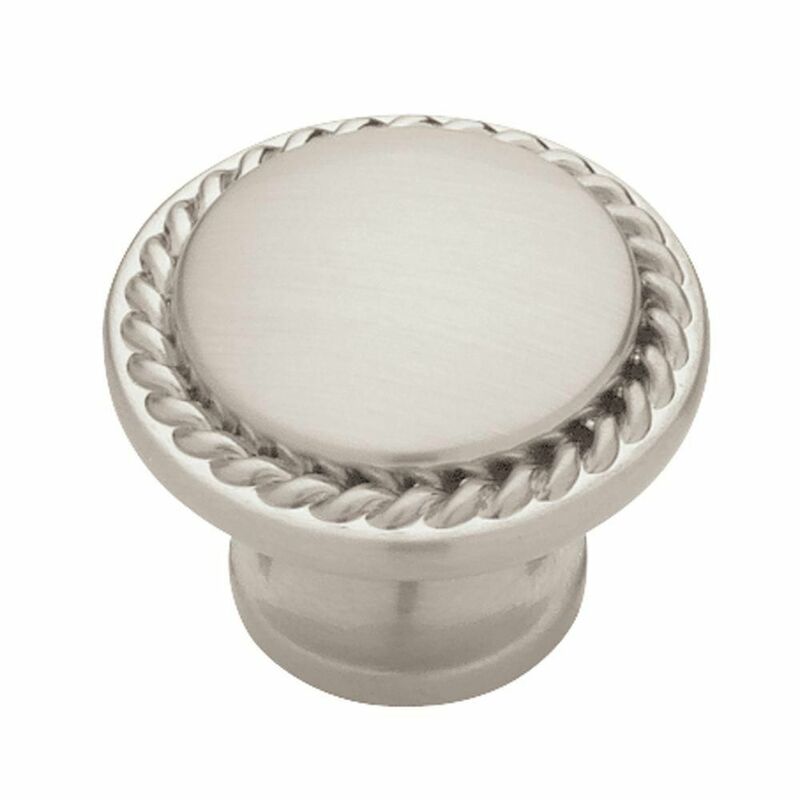 1-1/8 Rope Edged Knob, 1 per pkg Add a touch of elegance to your kitchen with the Liberty 1-1/6 in. Satin Nickel Rope-Edged Knob. The round die-cast zinc body with rope edging is finished in satin nickel. The knob features rear-mount installation. 1-1/8 Rope Edged Knob, 1 per pkg is rated 4.9 out of 5 by 28.